Giving Thanks is Free! We hope that this would be a blessing to you. There are times in our lives when we think that God isn’t there, too busy to answer our prayers or simply doesn’t care. He has his ways and time to reveal his better plans for our lives. He is ever faithful. Giving Thanks is a Blessing Journal which allows you to journal down the manifold blessings that He has bestow upon us each and every day despite our difficulties, hardships and struggles. In times of discouragement, it is good to reflect on what He has done for us. You can search for keywords to narrow down the numerous entries. 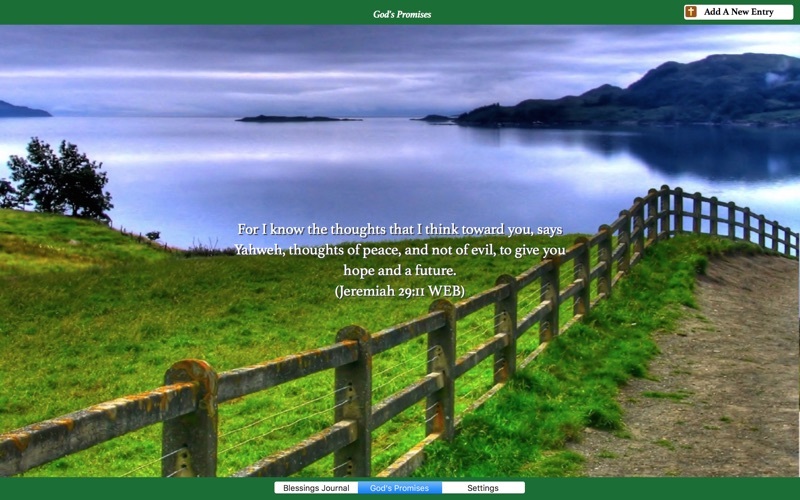 Built into the application is the World English Bible (WEB) and the King James Bible (KJV) so that you can insert the bible verses which inspire you for the moment into the journal entries. 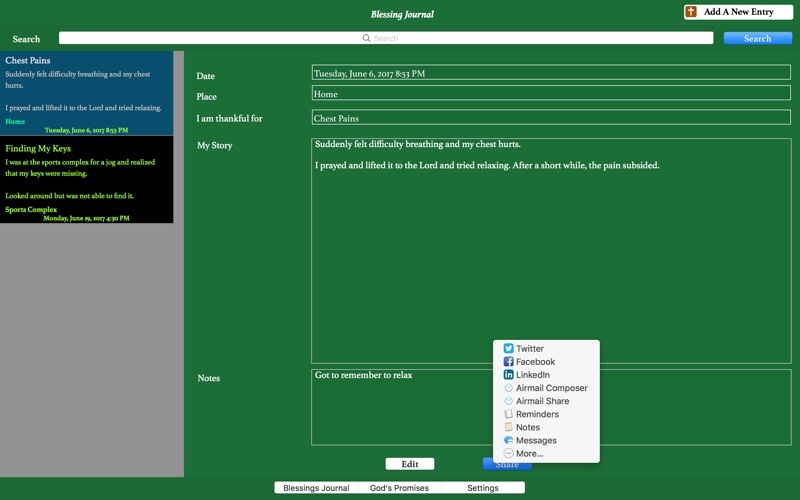 Inspire and Encourage others by Sharing your journal entries by using the share option which will copy the entry to your email client, facebook and a lot more. You can determine how you want to share by editing the Share Template in Settings. Not only that, included in Giving Thanks, you get some 200 specially curated bible verses which would inspire you. We know that before long, the blessing journals will be filled with what God has done for you and it might be difficult to scroll up and down the list and as such, you can use the Search function to narrow the list down. 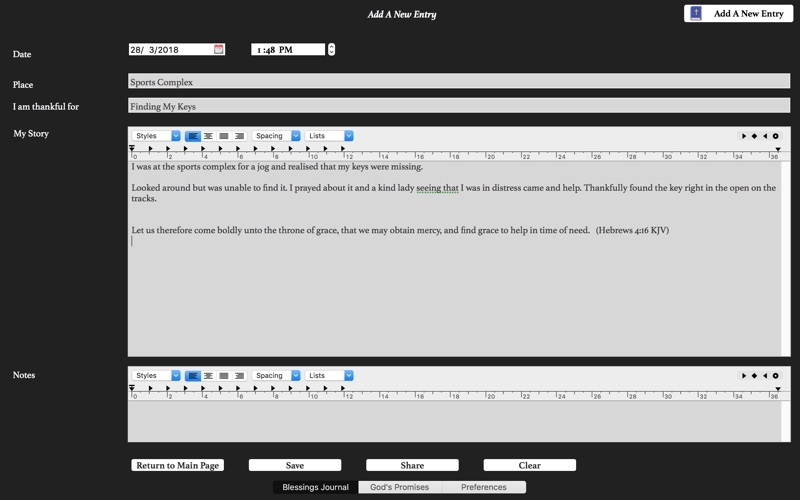 You can even edit the journal entries if you are inspired to add more details. 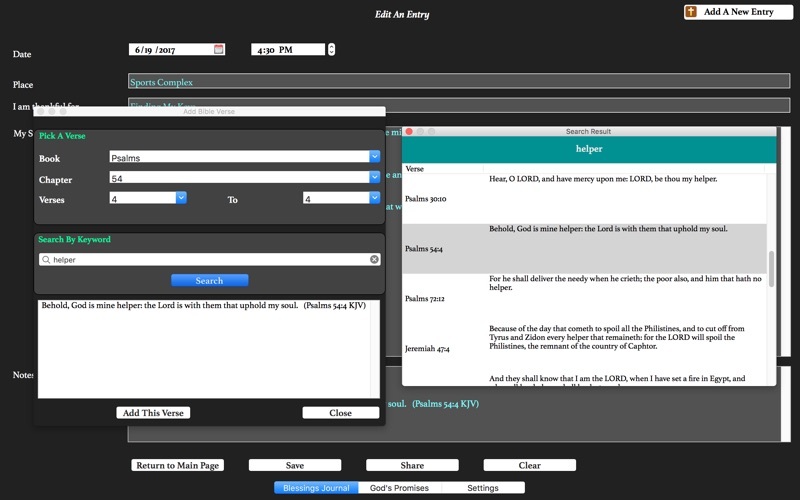 As the list grows or when you move between computers, you can save the journal entries in a CSV style file which you can import into the new computer so your journal entries will live on and encourage you in your time of needs. "Whatever you do, in word or in deed, do all in the name of the Lord Jesus, giving thanks to God the Father, through him. "